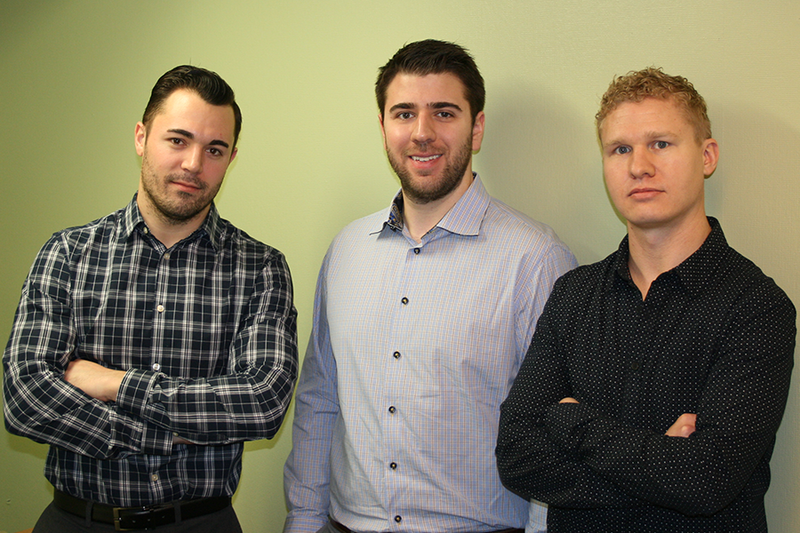 Cameron Klein, Andrew Campbell and Scott Hitchings are the co-directors of Campus Legal Services. Campus Legal Services (CLS) wants to ensure that all U of S students have access to legal counsel should they ever need it. Andrew Campbell, one of three law students who organizes CLS, said students frequently land in a grey area between qualifying for legal aid and qualifying for other legal advocacy groups, such as Community Legal Assistance for Saskatoon Inner City (CLASSIC). "There's a gap in terms of the requirements and criteria you have to meet in order to either apply for legal aid or to apply for CLASSIC. Students often fall into that gap," said Campbell, who along with Cameron Klein and Scott Hitchings is a co-director of CLS. "Not many students necessarily meet that criteria. There are a lot of student legal needs that might not be met otherwise, and we want to be there to provide help," Hitchings added. CLS is a student-run legal advocacy group made up of 12 student volunteers and a faculty advisor, licensed law practitioner Keir Vallance. The organization may appear to be a fresh face on campus, but it traces its roots back more than 30 years through U of S history. According to its records, CLS originally began sometime in the 1970s. The organization disbanded in 2009—partly due to an advisory vacuum and partly due to the rise of CLASSIC, which began filling a similar role before specializing in helping those in Saskatoon's inner city. The CLS hopes to provide access to justice for all students, it also gives students in the College of Law a place to develop their skills outside the classroom. "As law students, it's important to get some hands-on experience. Campus Legal Services is the place that's going to offer that," Klein said. As a student-run initiative, there are limits on the kinds of cases that CLS can take on. Residential tenancies, academic appeals and traffic violations, for example, are issues that will be handled by one of the group's members, while criminal cases and other more pressing matters will be passed along to more experienced parties. "We want to make sure we're not overstepping and giving students something that's outside the realm of our professional ability at this point," Campbell explained. Though CLS was approved by the University of Saskatchewan Students' Union in the winter term of 2014, and has since secured an office in the Memorial Union Building, it has yet to open its doors to prospective clients. Instead, they have been working with the Law Society of Saskatchewan to make sure everything is in order to make CLS an institution at the U of S for years to come. "We want this to lay a strong foundation for future students, and provide the kind of hands-on learning opportunities that we're hoping to experience," Campbell said, adding that they are confident the CLS will be accepting cases by term's end at the latest. "We want to leave something of great value to the next generation," Campbell said.